Beginning with his freshman season John Sivesind was a driving force on outstanding Sioux Falls Roosevelt teams. Sivesind was a rare four-year starter in the state’s big-school class. He finished his career with the Rough Riders as the leading scorer in Sioux Falls city history with 1,382 points. Roosevelt took third place in the Class AA state tournament in both Sivesind’s junior and senior seasons. 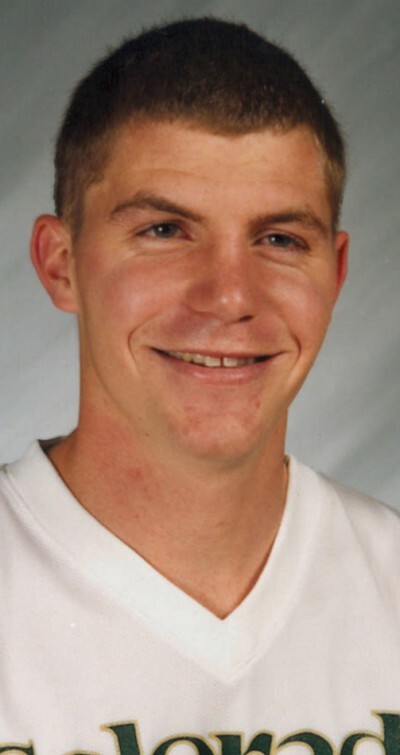 The 6-foot-3 forward was named to the all-state team in both 1995 and 1996. During each of those seasons Roosevelt had an overall record of 18-5. The Rough Riders were coached by Dave Dummermuth and also won a championship in the Sioux Interstate Conference during that time. Sivesind, whose sister Holly was also a standout player at Roosevelt, averaged 19.5 points and five rebounds per game as a senior in 1996. A strong defender and accurate shooter, he converted 58 percent of his field goal attempts and shot 89 percent on free throws. During his Rough Riders career Sivesind was an 81 percent foul shooter. He was named the state’s co-Mr. Basketball. A starter at Wright State (Ohio) University as a true freshman, Sivesind averaged 10.5 points per game and was chosen as a member of the Midwestern Collegiate Conference all-newcomer team. He then transferred to Colorado State University, where he became a three-year regular for the Rams. Sivesind was named the team’s Most Inspirational Player in 1999 and 2000. He was chosen as the Rams’ Most Valuable Player in 2001. Sivesind totaled 1,285 collegiate points. He averaged in double figures each of his four seasons, with a career mark of 11.4 points per game. Sivesind is an optometrist. He and his wife Brandy live in Sioux Falls. Children are Nolan, Cooper and Crosby.